It doesn’t matter if you are a child or an adult, a zoo is appealing to all. 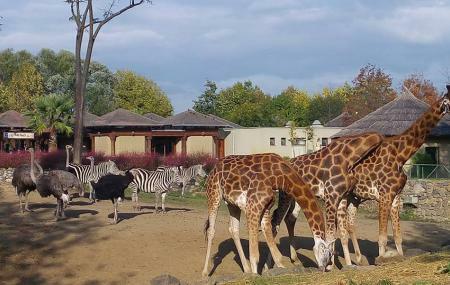 Situated next to Botanik Park, the place accommodates more than 700 animals and over 100 species from across the world making it a popular destination among tourists. People flock to this place to spend some nice time with their family while watching animals from various tribes. The place has a little village with cafes and restaurant. It can be a long walk for some, but with everything it is offering, you will hardly find yourself complaining. The children must be accompanied by at least one adult. The entry price for student is 2.5 TL. For minor (0-6) and teachers accompanying group of students, the entry is free of cost. How popular is Bursa Hayvanat Bahcesi? People normally club together Golyazi and Ottoman House Museum while planning their visit to Bursa Hayvanat Bahcesi. People also prefer to end their day with Bursa Hayvanat Bahcesi. Nice place for kids to have fun and run around. Restaurants or cafes are not over charging so that is a good thing. But, after all not so different from many zoos. Good place to kill time and wonder around. Sooooo worth it. Price is unbelievably good. A good animal selection, all fed and taken care off well. Zoo is not too big - walkable. Benches, toilets and musolla (mesjid) available. Not many eateries, but sufficient.